He specifically said it was the area around Elliott’s Park along the West Branch of the Susquehanna River. He said similar conditions are occurring throughout the county in the Coalport, Irvona, Mahaffey, Chester Hill, DuBois and surrounding areas. He added the Emergency Services Department is working with the American Red Cross to set up temporary shelters in Mahaffey and Chester Hill until water levels recede. Bigar said the county isn’t experiencing “swift” water flooding, and the current conditions are due to the gradual rise of river and stream levels from the extended period of rainfall. 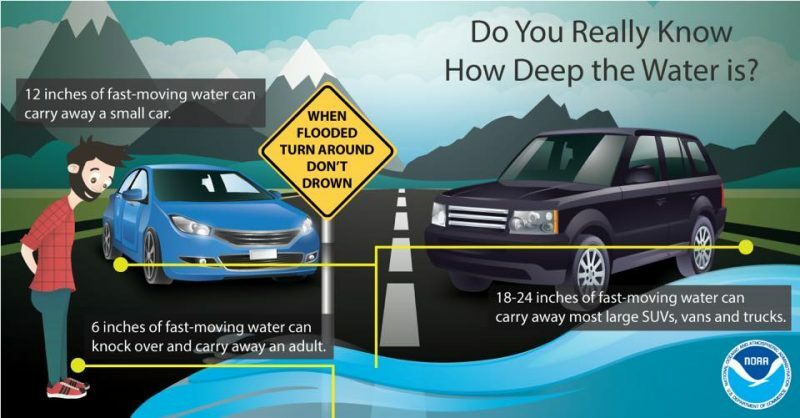 Residents are reminded to avoid traveling on flooded highways.